How many times have you replaced the garage door already? 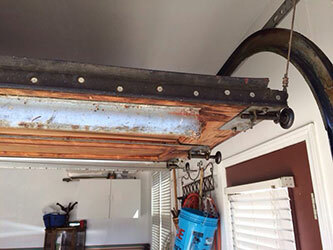 Well, the truth is that garage door replacement is not needed often unless there is something seriously wrong with it for any reason. Most households will be called to replace the door once, perhaps twice in a lifetime and the truth is that this is sufficient as long as it is maintained properly. Since we keep them for years and install them to reinforce security but we also expect them to operate safely, investing in good materials, electric garage door openers and insulated panels is important. Good doors will make a difference to the way we feel when we're at home and we'll definitely be more certain about the security of the house when we're away. After all, aren't those the main reasons why we are willing to spend more for better doors? Some would think that the overhead door they inherited along with the house from their parents will accompany them for the rest of their lives! Well, although some doors are truly in very good condition and their replacement is hardly needed, you must not fail to see the whole picture. First of all, consider the three main reasons why garage doors are necessary: security, convenience and safety. If one of these three factors is not fulfilled, automatically the value of your house is decreased and the chances for accidents and problems are bigger. As time goes by, garage door materials get better. Steel doors, for example, can be made by 27 gauge steel in single sheet skins or as a sandwich with insulated materials in between. This will give you an extremely strong door, your insulation will be ensured and so will your security. Even wood is better protected with good varnishes and ecologists can also get composite wood. Good materials means stronger doors, which will last longer, withstand extreme conditions and heavy duty use. Insulation is also important as older doors were not insulated. Why should you pay more for energy when you can reduce the bills with insulated panels? Undoubtedly, new doors usually come with new electric openers that will modernize your system, make your life easier and safer. Painting the panel is also one way to keep it beautiful but don't forget that paint will make the door heavier and you might want to make other changes of parts, too. So, you must consider whether garage door panel replacement will come cheaper anyway.